From traditional to extraordinary, Whistler Wedding Pastor has something for your wedding. For those looking to keep the wedding planning simple, stress free, with the best Whistler wedding vendors and at the best price, Whistler Wedding Pastor's All-Inclusive Elopement Packages are the only option for you to consider. Each package has a Silver or an upgraded GOLD option and there are only 5 elopement dates available each month. In need of a Whistler wedding officiant? Every Whistler wedding ceremony is designed to celebrate you and your love story. No two love stories are the same and no wedding should be either! Learn more about your fine-crafted custom & unique wedding ceremony. 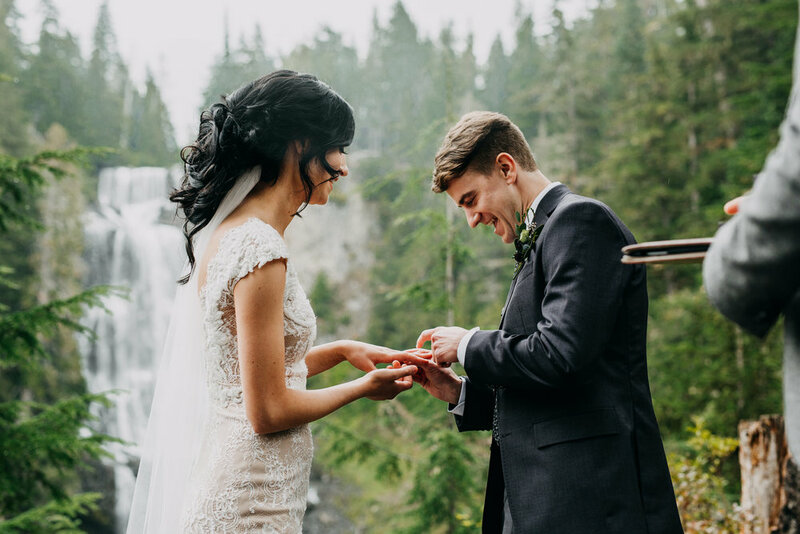 Celebrate your marriage and love story in a unique & meaningful way with a Whistler wedding vow renewal! Intentionally celebrating your marriage is a beautiful way to help grow and mature your relationship. With a Whistler All-Inclusive Vow Renewal we handle the logistics so you can focus on what really matters; the two of you enjoying a special & romantic moment in the mountains together. Hi and congratulations on your engagement and upcoming wedding! I’m very excited for you as you begin this next stage of life and I believe it should be one of the most exciting seasons of your life. My name is Jeremy Postal and I am a mountain living, snow chasing, bike riding, rock climbing, word smithing, family rearing, parish pastoring misfit based out of Whistler, BC. That’s what my instagram account claims, anyhow. In year 2000 some friends of mine in Squamish BC asked if I could officiate their wedding to which I replied, “I don’t know.” I was young and not officially ordained yet but we walked down the process of figuring out how to marry them (they’re still married!) and, in the process, I realized how much I loved helping people tie the knot! Fast-forward to today and I have the wonderful privilege of being invited into all kinds of wedding celebrations, each of them unique and special. The energy and emotion expressed as bride and groom exchange wedding vows is really something special and I am honoured to guide couple’s into that space on their wedding day. The ceremony is a really special & intimate part of the wedding and choosing the right person to lead you through the vows and “I do’s” and pronouncing you husband and wife and all that good stuff is a really important decision. The officiant really helps set the tone and atmosphere of the ceremony, and so it is important you are able to make that connection with them. Check out some reviews here. So let’s connect. I’d love to hear your love story, talk about your ceremony with you, and then get to the really fun part of writing your custom wedding ceremony. My creative approach to wedding ceremony design ensures your wedding ceremony is unique to your love story and your ceremony remembered for many years to come. If you have questions or want to book Whistler Wedding Pastor, fill out the form below. I typically respond within 24-hours and I am very happy to answer any questions you might have. Also, you are always welcome to call me at 604.932.8811. I am available for only 5 Elopement Packages each month and I am available only once per month to officiate larger full-scale weddings. I'm looking forward to hearing from you! Please let us know of when you'd like to book. What time will your Ceremony be? Where will you be travelling from for your Whistler Wedding? Let me know how you stumbled upon this site. What Other Activities Will You or Your Guests Do While In Whistler? Hello and a huge congrats to you on your engagement and upcoming wedding! You are in an exciting and special season of life, enjoy each moment of it. I wanted to let you know I have received your email submission and my typical response time is less than 24 hours. On busy wedding weekends it can sometimes be a bit longer but please know that I will respond to you as quickly and efficiently as possible. In the meantime, please feel free to check out the reviews and testimonials I have received on Wedding Wire and don't hesitate to take a look into the life of a wedding officiant by finding me on Instagram @Whistler_WeddingPastor or on my personal Insta @JeremyPostal. All other Inquiries, email me here. To be legally married in British Columbia you must obtain a BC Marriage Licence. It is a very simple process that only requires about 30 minutes of your time. Click through to learn about required documentation, witness requirements, and marriage licence issuers. Writing your wedding vows is not complicated but it does take some thoughtful planning. The exchange of wedding vows is the most intimate part of the ceremony and is well worth the work of writing something meaningful. Don't worry, you got this! Always dress for the weather! Dressed too warmly for summer or not warm enough for winter all influence the enjoyment factor of the wedding day. As you are thinking about what to wear, keep in mind that delicate balance between fashion + function! Spring is when outdoor weddings really take off! Summer is warm but not too hot. Autumn can be cool & wet with beauty sprinkled in-between. Winter is like getting married in a snow globe!